where you can download and print FREE papers to create accurate half square triangles without the problems caused by those pesky bias edges…. from 1/2 inch ones right up to 2 1/2 inch ones. There’s lots of tips and hints too. Available free of charge to you 24/7! Great, huh? I love how quilters are always so caring and sharing, don’t you? I”m off to the cave…. Great block.....so good to have helpful tips. I now only use the easy 8 half square tutorial to make mine. Easy to work out any size and NO BIAS EDGES. What gives you power to play? 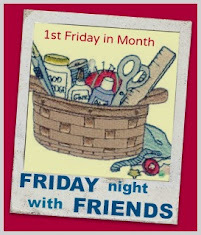 Thanks goodness for friends and FNSI…. It’s finally finished and release of the Gnomes..